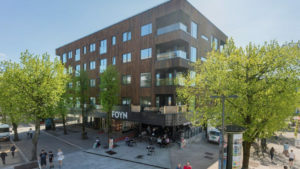 The construction of factory-made wooden elements and their use with other structural materials is widespread throughout the Nordic countries. 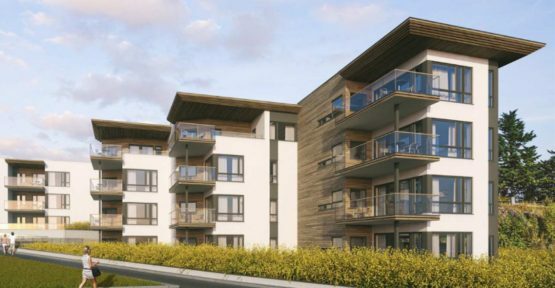 Wooden elements accelerate the construction process and thus reduce the cost of construction. 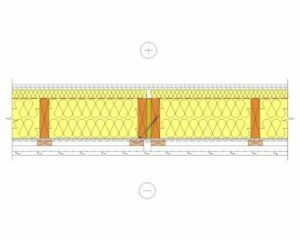 We offer the facade elements of the outer wall according to the client’s project in maximum readiness. 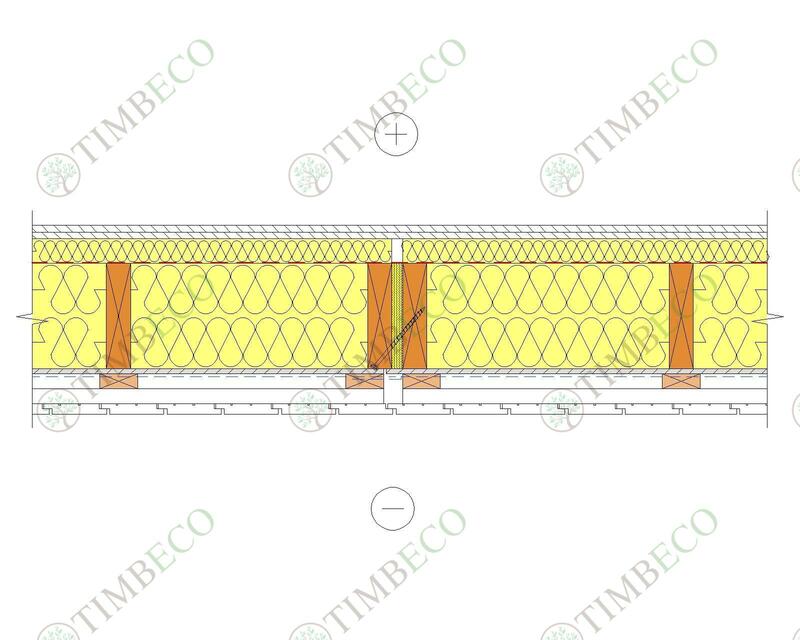 Timbeco’s partners are contractors and real estate developers of different sizes who value our expertise and know-how in the design, manufacture and construction of wooden elements. The high quality of production, and the financial savings are the main arguments that are increasingly favouring the use of wooden elements. The construction of the elements significantly save time for construction and several different costs for the object, such as the rental of scaffolding or roof tiles or the management of a construction project. When designing a building, the choices made depend on what kind of house it is. Of course, the security and cost of construction are part of the decision-making criteria. 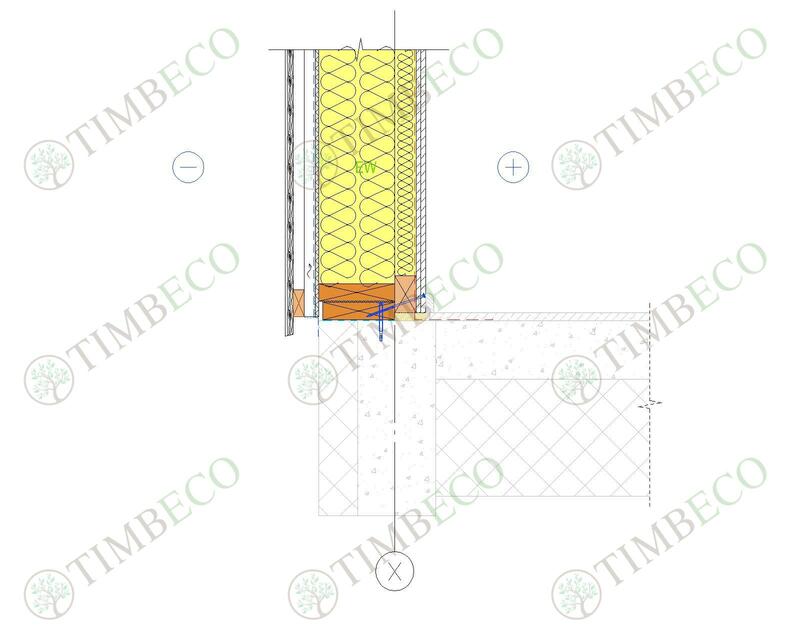 Timbeco engineers have long experience, we can develop and design optimal and cost-effective timber element construction. As a rule, what is involved in the design process of a wood element manufacturer at an earlier stage, the better is the result. By energy efficiency, we mean the controlled movement of air in the construction. 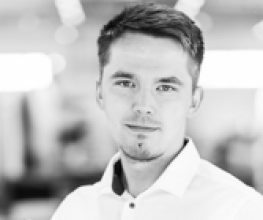 Achieving control over the movement of air is the main goal of today`s energy efficient construction. Uncontrolled movement of air in the construction also causes movement of moisture. In addition to extreme heat loss, this also causes the wall construction to get wet and this results in damage: e.g. mould, rot, etc. Mould spores suspended in room air can pose a serious health problem. In order to avoid damage caused by moisture, vapour and air barriers with varying moisture resistance must be used. The drying capacity of the construction must always exceed the estimated moisture load. Simple vapour barriers are not allowed to be used in modern constructions; certified vapour and air barrier systems must be used instead. 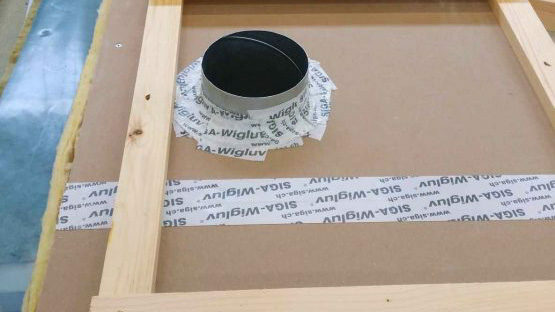 We use special tapes for windows and doors and corner joints, and natural latex based adhesive for fixing the edges of air and vapour barrier paper to concrete and wood..
Quality installation of the air and vapour barrier system according to the instructions is very important for ensuring that the house is air tight. It is impossible to make the house air tight without high quality and careful installation. We check the energy efficiency of a prefabricated house that is manufactured and built by us with certified pressure tests. In order to avoid defects caused by the movement of air it is necessary to perform an air-tightness test (Blower-Door pressure test) during construction, after the installation of air and vapour barrier and before the installation of internal cladding. Prior to the installation of internal cladding and internal finishing works, it is still possible to fix the air leaks that were detected during the pressure test. The pressure test is conducted using the pressure difference method (Blower-Door), which means that negative air pressure or overpressure of 50 Pa is created in the building using a fan installed in the door or window opening. Then the number of times the air in the entire room changes within one hour (1/h) is measured. The allowed air change rate is 3/h; 0.6/h in case of passive houses . Unlike a thermal camera test, the Blower-Door test can be conducted all year round. 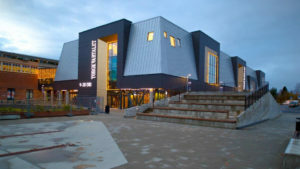 Timbeco have engineered and produced façade elements solutions for a number of projects. 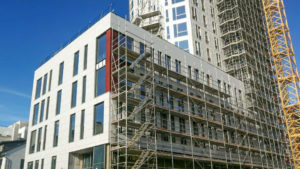 Due the years of experiences we have worked out the best cost-saving solutions for façade elements in hybrid solutions. 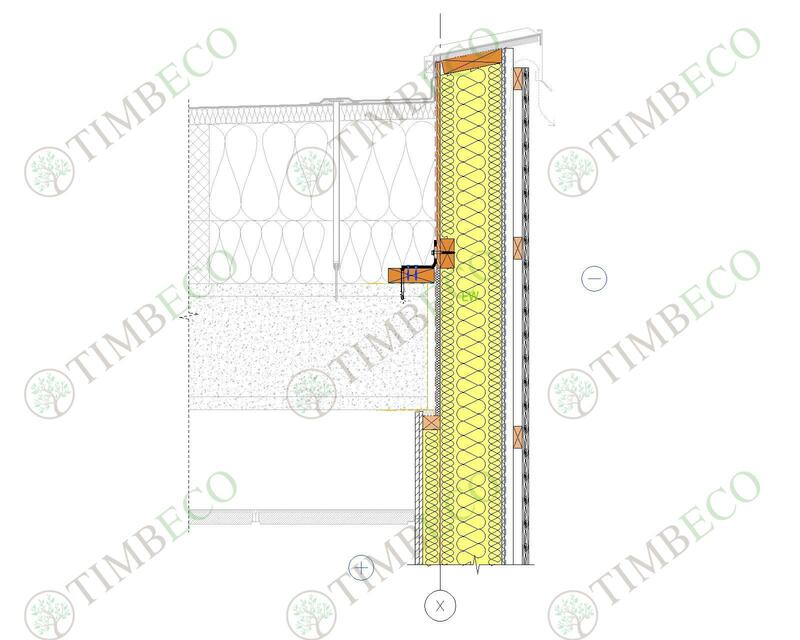 Timbeco strong advice is to use our standard solutions. Please do not hesitate to contact our consultants for more information. Sometimes, architectural design of the building may be challenging and it is not possible to use standard facade solutions. 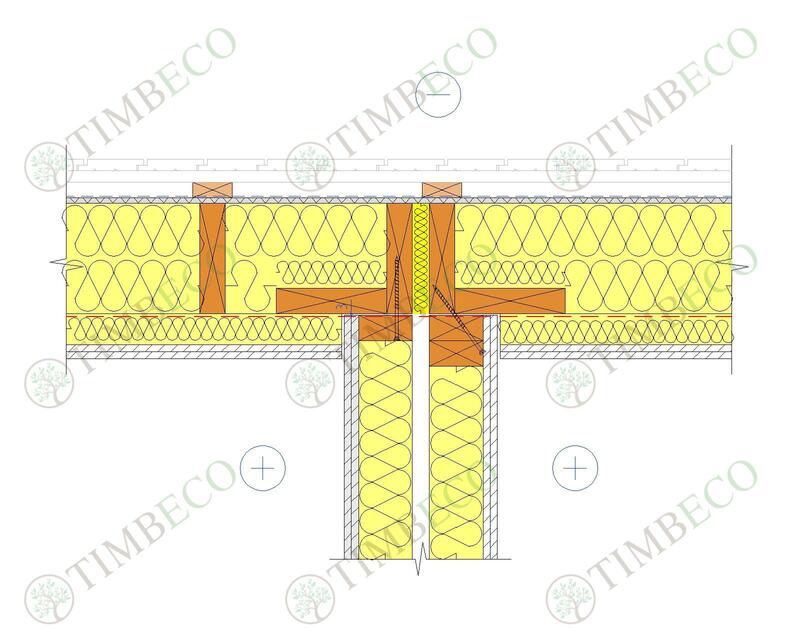 Timbeco had many experiences with special design and solutions in challenging hybrid constructions where façade elements are used. Our experienced engineers will find the right solution even for the most challenging project if needed. We have the necessary CNC machineries, that enables to work out the most challenging solutions from wood. 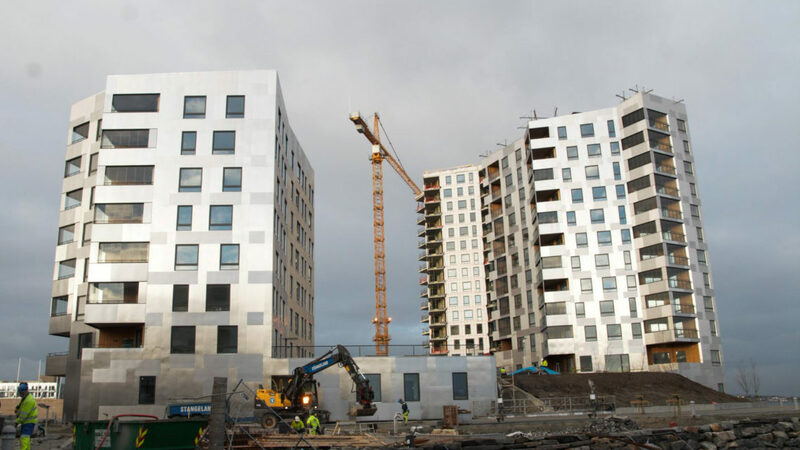 One of the largest facade projects was in Stavanger, Norway, where we installed wooden exterior wall elements for 7 to 18 floor concrete buildings. 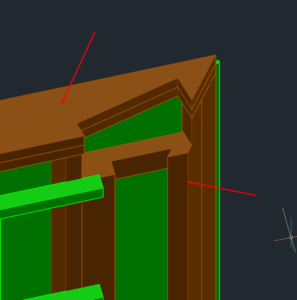 We have the capability to produce and provide, if necessary, special solutions that we can produce thanks to CNC machinery and 3D modeling (eg Stavanger’s project with no right angles on the walls) or several “teeth” due to the design of the client. Our ability to do special solutions is needed, but such special solutions are 30% more expensive and take 30% more time on the construction site. 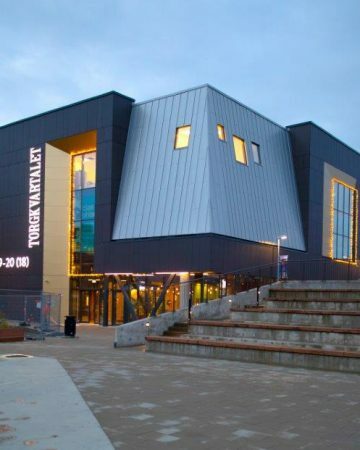 Timbeco took part in the Stjørdal Torgkvartalet shopping mall building project in Trondheim, Norway. 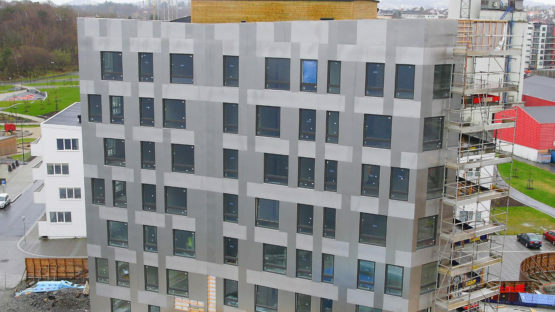 Timbeco team installed facade elements for the Bodø360 multifunctional building in the center of Bodø, Norway. 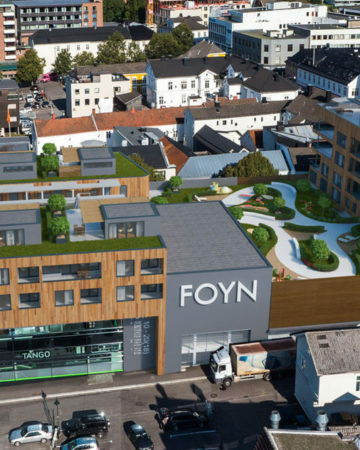 Timbeco took part in the renovation of the Føyntaket shopping center in Tønsberg, Norway. We can install rigid piping and wiring devices in the prefabricated wall element needed for electrical wiring based on the electrical wiring project prepared by the client. The wiring installed at the factory enables to cover the prefabricated wall elements as well as the interior wall elements with desired materials (boarding, plaster board, OSB, etc.) from both sides without having to remove them at the construction site for wiring. This is a huge time saver. 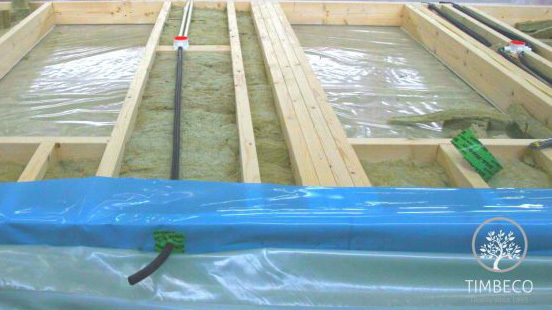 The piping installed at the factory means better quality compared to piping installed at the construction site because the ducts have been installed carefully between the wool layers without breaking the vapour and wind barriers, not squeezed on the wool layer which would decrease the structure’s insulation. 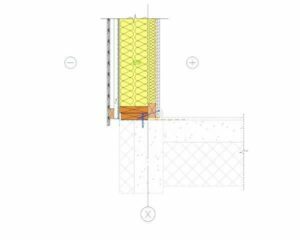 Based on design requirements, we may tape the prefabricated wall elements with wind barrier in order to make the structure even more weatherproof. 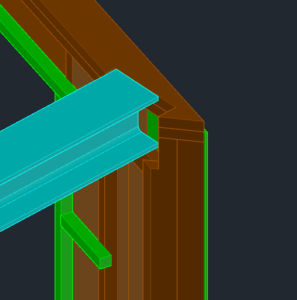 Prefabricated timber frame wall elements may be provided with vent feedthroughs. 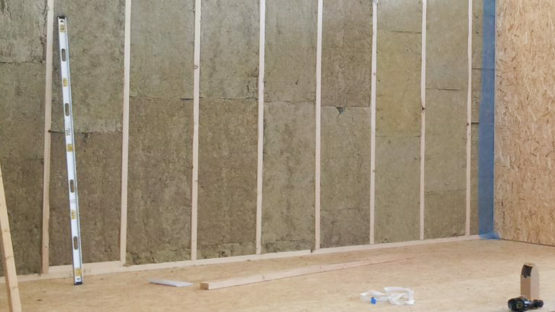 We use rockwool (Rockwool SuperRock) in our wall elements. 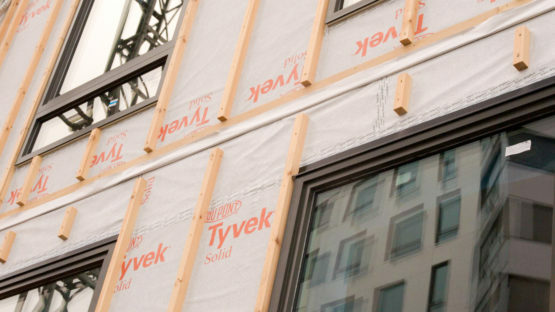 We install the rockwool in the prefabricated walls in the dry conditions of the factory and pack the element weatherproof. 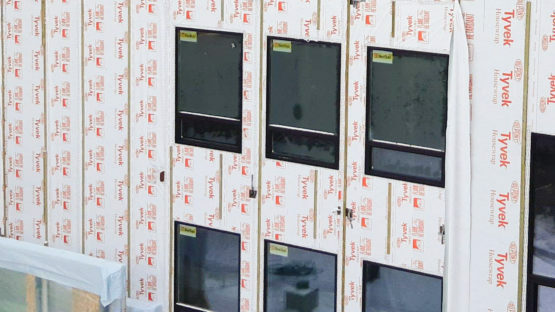 The prefabricated walls packed by us may be stored outside with no additional protection for up to 4 weeks without having to worry about the insulation getting wet. 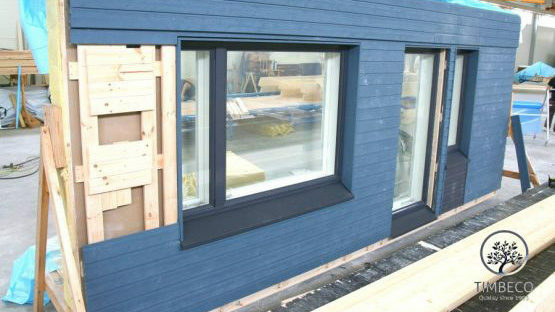 Windows may be finished with linings and sill flashings at the factory. 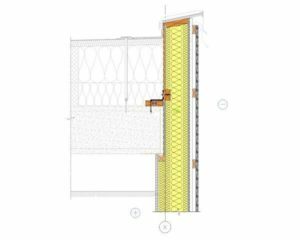 This enables the client to save time on finishing the windows at the construction site and there is no need to order scaffolding for that purpose. 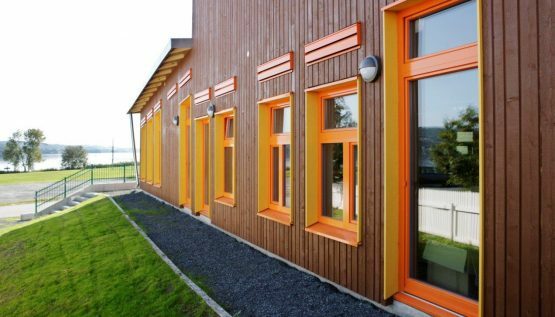 We install all types of windows and balcony doors (wood, aluminium, wood-aluminium, plastic) in prefabricated timber frame wall elements. At the factory, the windows are weather-stripped with certified vapour barrier tapes (SIGA), mastics, expandable sealants, etc. It is possible to install various kinds of boards, e.g. OSB, plasterboard, Fermacell, or other boards. 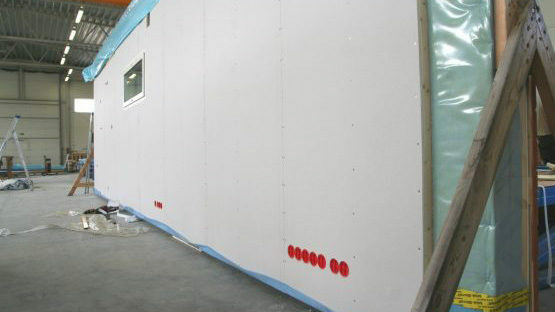 We can install processed and painted boarding (of different types of wood) on the prefabricated walls at the factory. The boarding may be installed horizontally as well as vertically and in different combinations of colours and profiles. Our prefabricated wall elements may be used in a concrete, steel or stone structure. We have a lot of experience in this and we can provide you with functioning construction details. 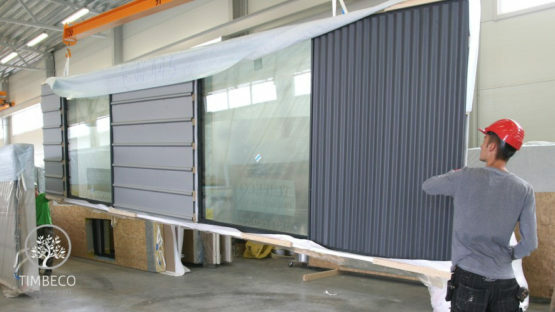 Just like in the case of a stone facade, a special cement board will be installed on the prefabricated walls. The rendering of the facade will take place on the site. Different stone materials may be used as wall coverings, e.g. brick, decorative stone, etc. If you use stone as your external wall covering, a special cement board is installed on the prefabricated wall and the stone material will be installed thereupon on the site. In the case of stone covering, a wider foundation must be built to support the wall covering. If you choose wooden boarding, you have many additional options. You may choose between different boarding profiles, types of wood and the manners of treatment of the wood (paint, impregnation, thermo-processing, etc.) 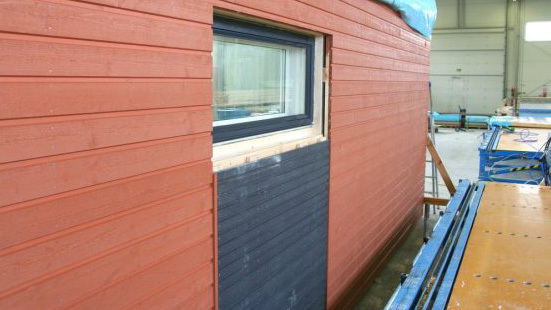 Painted and treated wooden boarding will be installed on the prefabricated walls at the factory. Metal-based facade materials offer an extremely powerful and wide aesthetical range for use. Timbeco manufactured and mounted a wooden element row house of a high level of completeness in Sweden. The prefab elements of the exterior and interior walls of the row house were equipped in the factory with vent pipe feedthroughs. 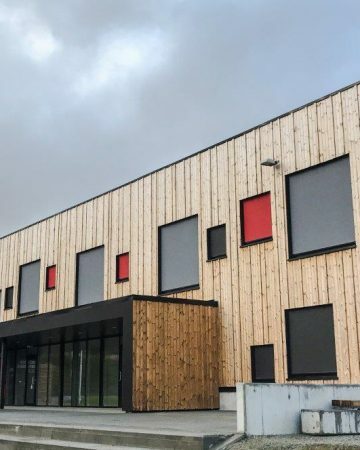 Timbeco designed, manufactured and installed prefab timber frame wall elements for the school building in Norway. Building’s load bearing structure was steel and concrete. The architectual solution of the project foresaw irregular wooden exterior finishing on purpuse.